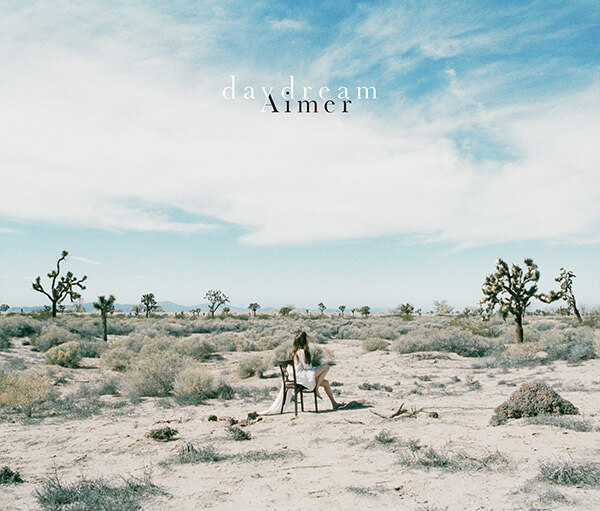 daydream is Aimer's best and most important album yet. This fourth album is a piece of work. I'm impressed by the art work, shifting from the night scenery to bright daylight. I'm impressed at what each guest musician brought to the table, pushing Aimer to new heights. I'm impressed at the staff behind the album, introducing world class composers and producers and musicians. Most of all, I'm impressed at Aimer's growth as a singer. She delivers a killer vocal performance, shows incredible control and growth as an singer. She mastered the art of conveying different tones and emotions. It's amazing how she balances a hard rock piece with a hushed honeyed performance. It really works! The only factor bringing this incredible album down is the order. It's all over the place. Jumping from fast paced tracks to quirky tracks to slow tracks. The album isn't meant to tell a story. Because daydream is just a compilation of unique songs, it difficult to unify all the various contributing artists to stick to one theme. Each contributor's style is too distinct from the other. The tracks clash against each other. There's no proper transition. I have unchanging opinions for insane dream and us since my review. Though now I realize the significance of these two songs. Even if the results weren't on par, the process was the important part. Both tracks exemplified an image change and offered disparate sounds exploring what Aimer is capable of. Chou Chou Musubi is another unchanging opinion. I think I said all I had to said in my previous review. ninelie is a song I haven't gotten to reviewing yet. It's a good song. Very typical of Sawano Hiroyuki but still, pretty good. Ethereal piano repetitions and fluttery electronic waves, accompanied by the harmonious duo of chelly and Aimer. My favourite part is when the chorus first comes in. You get a taste of the song's core without the complexities of the backtrack. Sawano Hiroyuki should do that more often. twoface begins with bass slaps and hi hats. Steady before the action explodes with old school guitar grooves, jazzy piano schemes, and electric noise tunings. I wouldn't expect anything less from the vocalist of androp. To bring things down, the albums shifts to Higher Ground. How appropriately named. Filled with folk and country inspired acoustic chords, the song is a nice, simple break from all the rush. It's never too slow thanks to the bass drum resonances and hoarse croons and hums. for Lonely with Abe Mao was a B-side on Dare ka, Umi wo. I'm surprised to see it on an album. No complaints because it deserves more recognition. I underestimated Abe's ability in this phenomenal track. A skilled singer holds their own while allowing others to shine. Abe demonstrated she is more than capable. The evidence is very subtle in Abe's vocals and composition. When dissecting the production, I noticed the stereo panning. The higher ranged guitar riff are more prominent on the left speaker. Lower ranged on the right speaker. And the water drop-like echos were a beautiful touch. Kataomoi is an instant winner. This piece stole my heart, right at the second the rhythmic snaps and laid back guitar strums entered the room. I’m adoring how spaced out and connected Aimer’s voice sounds. Each note is pronounced distinctly and trails onto the next note. The simple melody is the real gem, supported by balmy strings, chime tings, and backing vocals from Uchisawa Takahito. TK composed Kowairo, a chilling and majestic work of art. The strings wane hauntingly and the keys ground all the elements together. The song is very accessible to the average listener while offering a glimpse of TK’s obscure sound through the distortions and wails from the electric guitar near the end. closer has a sweetness to its punk rock beat. The alien distortions catch your attention immediately. Surprisingly the hard hits of percussion don't take over the vocals. Even with the amplified electric guitar, the song maintains a balanced level of intensity. Falling Alone got me banging my head back and forth. I’m amazed my neck is still in tact. A dark rock number contrasted with its long-winded tempo and gorgeous vocals. I prefer this style as the clarity of her voice shines through the amplified guitar backtrack. The piano endbit elucidates the simple nature of the song. Stars in the rain is the typical rock ballad you'd expect from pop-punk-rock specialist Taka. I appreciate the incorporation of English, even though I find the title a little cheesy. One by one the instrumentals fade out, foreshadowing for the gradual end. You start the album with Taka and end with him, great way to tie all things together. I said it before and I'll say it again. This is Aimer's most important album yet. Nothing will possibly beat Sleepless Nights on its emotional pull, vivid musical imagery, and near-perfect transitioning. That said, daydream offers things past albums lacked. It's her top album in terms of technique and variety. Aimer is transforming herself. The reason I had a hard time accepting her more recent songs (insane dream, us etc) is because she had found and perfected a niche sound with the night trilogy of Sleepness Nights, Midnight Sun, and Dawn. Now, she’s establishing herself as a diverse artist who isn’t afraid to explore and experiment sounds. This is critical in maintaining relevance and in nuturing artistic creativity. Honestly, with the signing of OOR to Fueled by Ramen, I won't be surprised if Aimer tries her shot at the international market. She's already done successful sold out appearances in Singapore, Taiwan, and more. Plus her radio and tv appearances have increased a great deal. She's collaborated with a growing number of artists, even being featured on the new GROUND KIDS album. If there's any chance Aimer or her management is reading this, I know you'll capable of amazing things and I can't wait to see what you have in store.